Demaris Villanueva reviewed forms to enroll her son, 3-year-old Israel, in one of Denver’s public schools. The Globe is taking a year-long look at promising practices to address a range of social, emotional, and cultural issues in Massachusetts public schools that could be affecting classroom achievement. The series is being produced in partnership with the Solutions Journalism Network, with funding by the Nellie Mae Education Foundation. To see previous coverage, click here. DENVER — A few years ago, parents here faced a bewildering array of options when selecting their children’s schools. There were more than 60 enrollment systems within Denver Public Schools alone, and another set for the city’s charter schools, each with distinct timelines and applications. The confusion discouraged many low-income families from choosing at all, while parents with greater resources took advantage of the complexity to “game the system” in their favor, residents said. 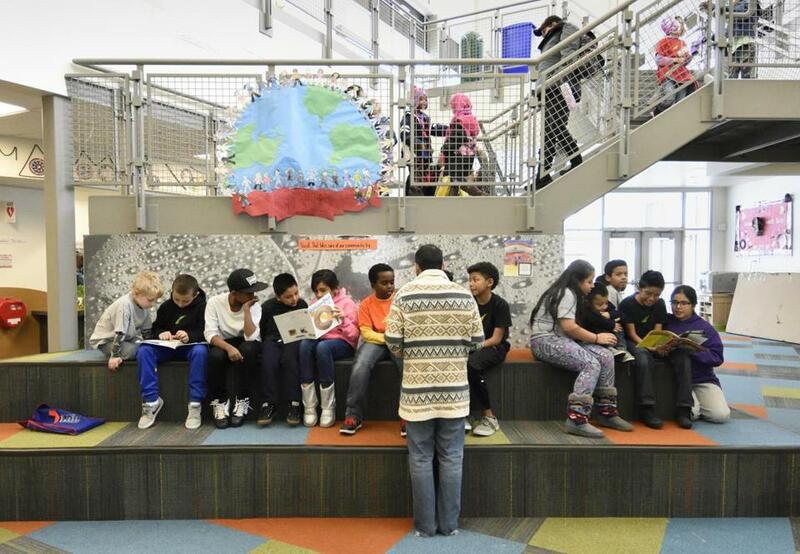 But four years after the Mile-High City adopted a common enrollment system that provides one-stop shopping for traditional, charter, magnet, and innovation schools, parents praise the ease and convenience of finding the right match. Interviews with Denver parents, educators, and community groups suggest that the city’s largely controversy-free adoption of unified enrollment offers lessons for Boston, where a similar proposal by Mayor Martin J. Walsh and school leaders has met with vehement opposition from some parents. An in-depth look at a wide range of issues that unfold every day in public schools. In Denver, the unified enrollment effort began with education advocates — not politicians. And the push included community organizations that helped win early support from parents, especially among the Latino and black communities that include most Denver students. In Boston, there has not been a comparable effort to build parent support, and attempts to involve parents before going public with the proposal may have backfired. Members of the Citywide Parent Council who were among the first to learn of the unified-enrollment proposal quickly became some of its most vocal critics. Some of these parents oppose charter school expansion and have tied the enrollment plan to ongoing, separate efforts to raise the state’s cap on the independently run public schools. Supporters of the plan deny there is any connection. Dorsey and other unified-enrollment proponents say the purpose of combining enrollment systems is to make it easier for all families, regardless of race or socioeconomic status, to come to informed decisions about their school options and access the schools that are best for their children. Denver’s unified enrollment system covers public schools like the one above as well as charter, magnet, and innovation schools. Parents have praised the convenience. Since Denver and New Orleans became the first US cities to unify enrollment in 2012, several other urban communities have followed. Of about a dozen US cities that have attempted to adopt the system, half have stalled amid political conflicts, according to Neil Dorosin, executive director of the Institute for Innovation in Public School Choice, a nonprofit group that builds and implements school assignment systems. When New Orleans unified enrollment in 2012, the city’s schools had dramatically changed amid reconstruction following Hurricane Katrina in 2005. So many charter schools have been established or have taken over failing traditional schools that today more than 90 percent of New Orleans students attend charter schools, one study found. The city’s OneApp system includes four state-authorized charter schools, each school in the all-charter Recovery School District, some charter and traditional schools run by the Orleans Parish School Board, and publicly funded early education programs, according to a Recovery district official. 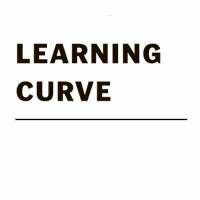 The system has brought parents better information for choosing schools and a greater equity of access, a study by the Center on Reinventing Public Education found, but along the way there have been miscalculations that led to ad hoc solutions that may have undermined fairness. Some in New Orleans also complain that using a computer algorithm, which is based in part on parents’ choices, does not allow families to see how assignment occurs. “Because this is not a transparent process that someone can witness, such as drawing a number out of a hat — a regular lottery — some schools feel like they are being given more of the more-difficult-to-educate children,” said Karran Harper Royal, a New Orleans education activist. In addition, the study found economic and racial disparities in New Orleans, as well as Denver. Affluent and white parents were more likely to participate in the enrollment system than parents who were poorer, or black or Latino. Unified enrollment has come to Newark, but it has been unpopular with many parents there, in part because it was introduced amid a wider and much-reviled education reform effort sponsored by a $100 million donation from Facebook founder Mark Zuckerberg. Unification has also been controversial in Oakland, Calif., where many district teachers oppose the plan to include charter schools in the assignment mix, said Shannon Fitzgerald, who headed Denver’s enrollment office and has since become a consultant on unified enrollment, working in Oakland. Denver schools enrollment representative Tim Tullar (center) spoke with a parent about enrollment options for his child. 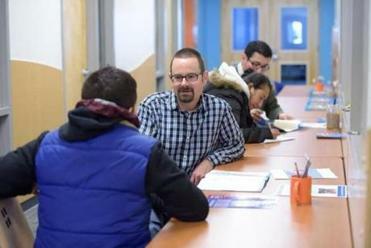 Proponents of such a system in Boston say Denver provides the best case study for implementing unified enrollment, though the cities have taken different approaches. Denver — like several other cities that have attempted to unify enrollment — hired Dorosin to research its previous system. He uncovered several flaws, including the dozens of competing enrollment methods. Dorsey said Boston is not pursuing a similar analysis, but he is gathering feedback from parents and reviewing the research from other cities. He said future unified enrollment presentations would address the objections of some anti-charter parents by highlighting the potential to have charter schools operate more like traditional public schools — accepting more special education students and non-English speakers, and accepting new students as families move into Boston throughout the school year. Although Boston’s unified enrollment effort is continuing, the timeline has been made less certain by the need to respond to public criticism, Dorsey said. It could be 2018 before enrollment can be unified because the proposal must be approved by the Boston School Committee and each participating charter school, and because state law must change to allow charter schools to modify enrollment policies. Objections to unified enrollment were among the concerns that drew more than 300 parents, teachers, and other community members to a meeting last week at Madison Park Technical Vocational High School. That study found, though, that unified enrollment helped more minority, low-income, and non-native English speaking families — groups often underrepresented in charter school enrollments — to enroll their children in charter schools for kindergarten. Dorosin also disputed the idea that making it easier to enroll in a charter school would necessarily lead to increased demand for charter schools and lessened interest in district schools. Denver has relatively little opposition to charter schools, residents say, perhaps because charters here are granted by the city’s school board, which retains some oversight of the schools. In Massachusetts, most charter schools are accountable only to state officials — not to local districts and, some say, not to the parents of their students. But Denver’s common lottery has not been without hiccups, mostly due to human error, said Fitzgerald, the former enrollment director. And many in Denver say the city still does not have enough high-quality schools, particularly in minority areas. 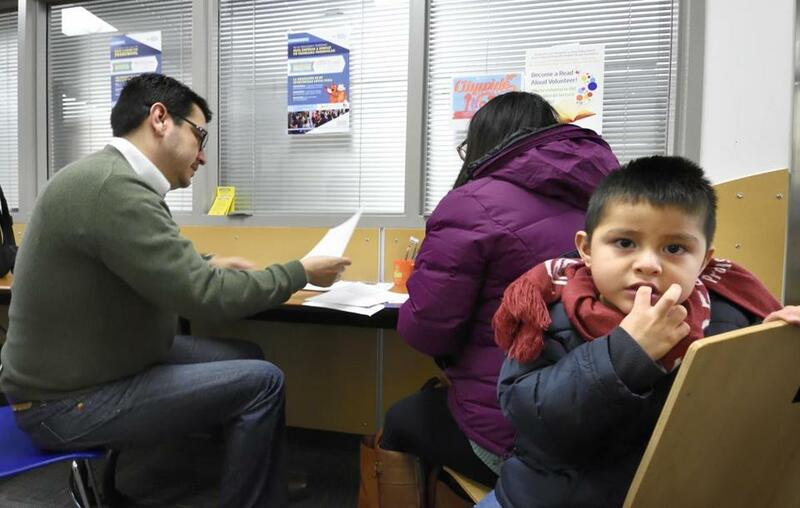 The Denver enrollment system’s current widespread acceptance was clear in the comments of parents who trickled into an enrollment center in the city’s Far Northeast section on a recent snowy weekday morning. As the mothers and fathers entered, they were greeted by workers who sat them down with the district’s glossy, colorful enrollment guide and discussed their options. Ganga Koirala, 35, said he visited the center to find out his two sons’ chances of getting into the most desirable schools. An employee sat with him and reviewed his options in less than a half hour. “And if I change my mind, I still have the option to go back and change,” Koirala said.